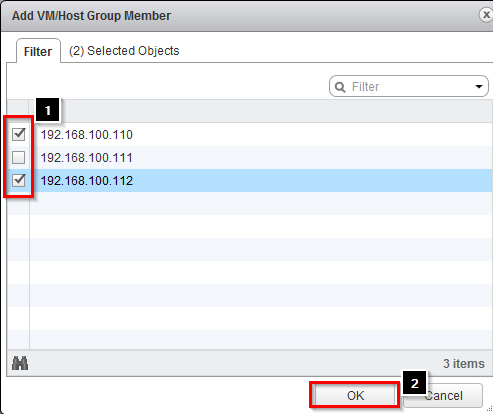 in the host advanced settings by setting it to 0. 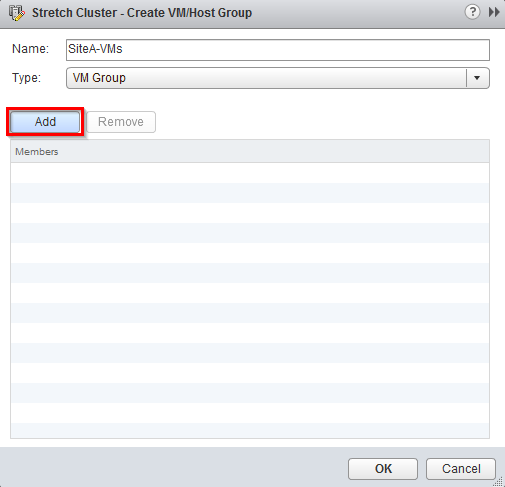 VMware recommends manually defining “sites” by creating a group of hosts that belong to a site and then adding VMs to these sites based on the affinity of the datastore on which they are provisioned. 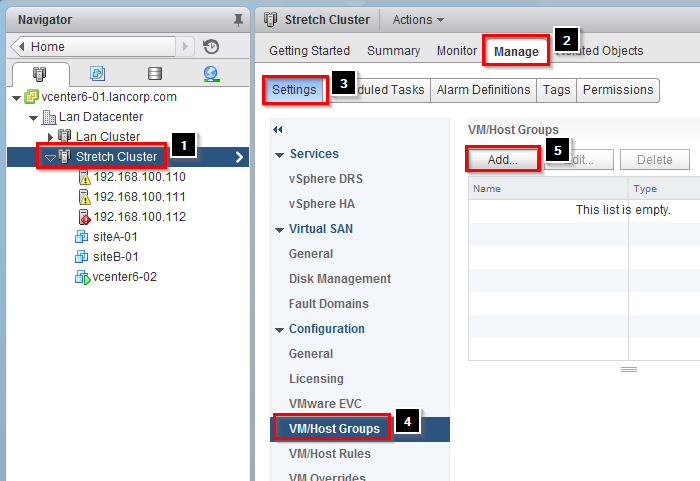 VMware recommends automating the process of defining site affinity by using tools such as VMware vCenter Orchestrator™ or VMware vSphere PowerCLI™. 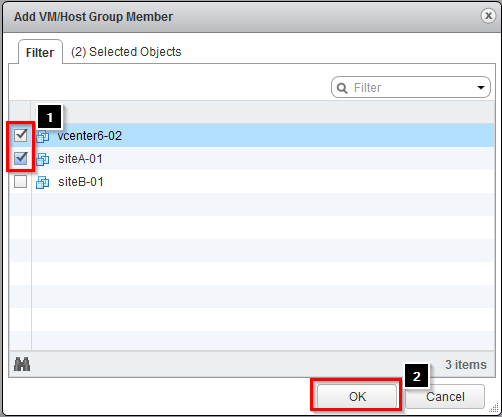 If automating the process is not an option, use of a generic naming convention is recommended to simplify the creation of these groups. 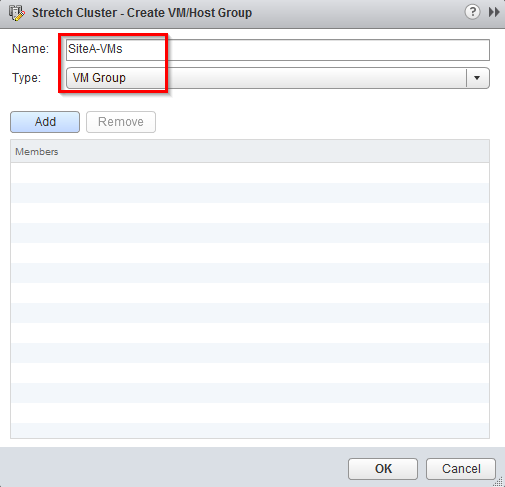 VMware recommends that these groups be validated on a regular basis to ensure that all VMs belong to the group with the correct site affinity. 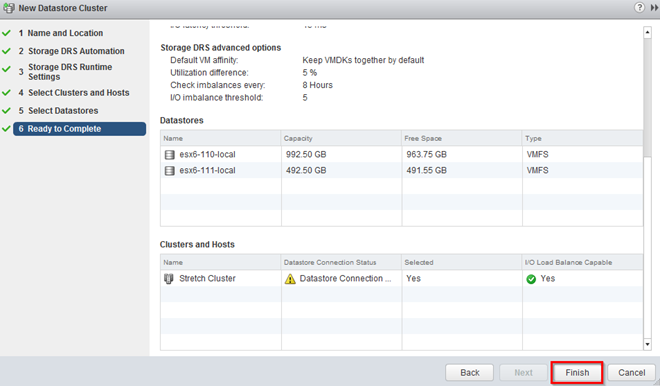 vSphere Storage DRS enables aggregation of datastores to a single unit of consumption from an administrative perspective, and it balances VM disks when defined thresholds are exceeded. 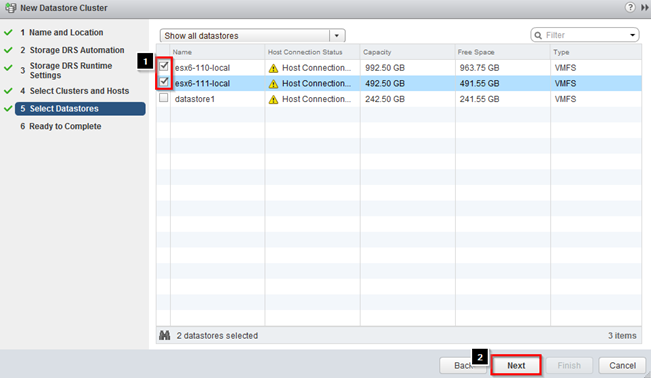 It ensures that sufficient disk resources are available to a workload. 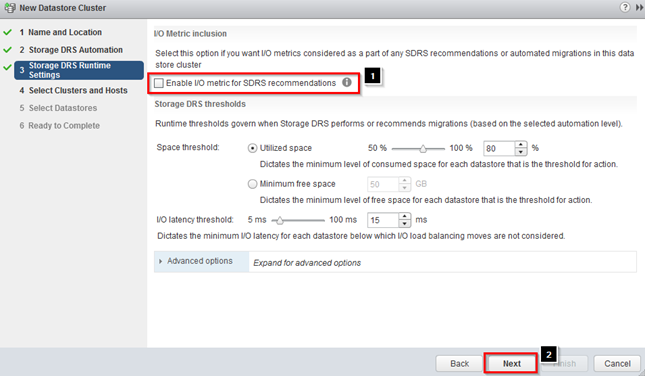 VMware recommends enabling vSphere Storage DRS with I/O Metric disabled. 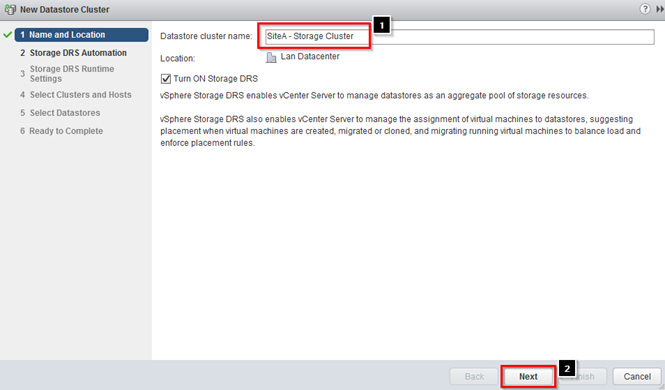 The use of I/O Metric or VMware vSphere Storage I/O Control is not supported in a vMSC configuration, as is described in VMware Knowledge Base article 2042596.
vSphere Storage DRS uses vSphere Storage vMotion to migrate VM disks between datastores within a datastore cluster. 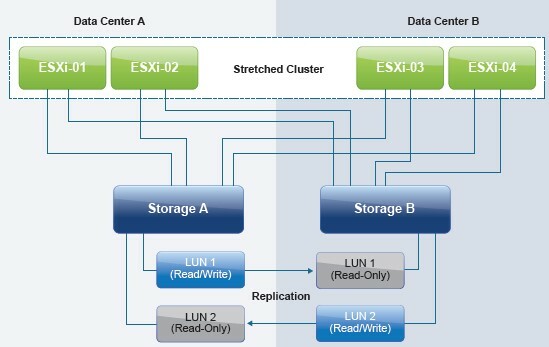 Because the underlying stretched storage systems use synchronous replication, a migration or series of migrations have an impact on replication traffic and might cause the VMs to become temporarily unavailable due to contention for network resources during the movement of disks. 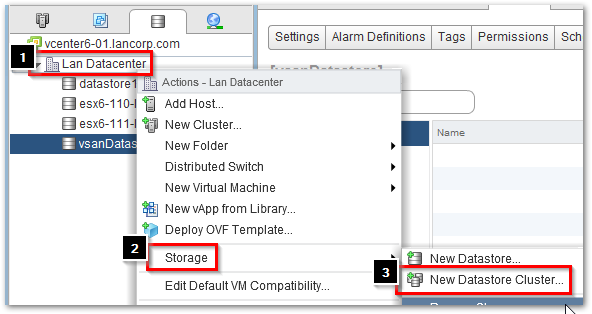 Migration to random datastores can also potentially lead to additional I/O latency in uniform host access configurations if VMs are not migrated along with their virtual disks. 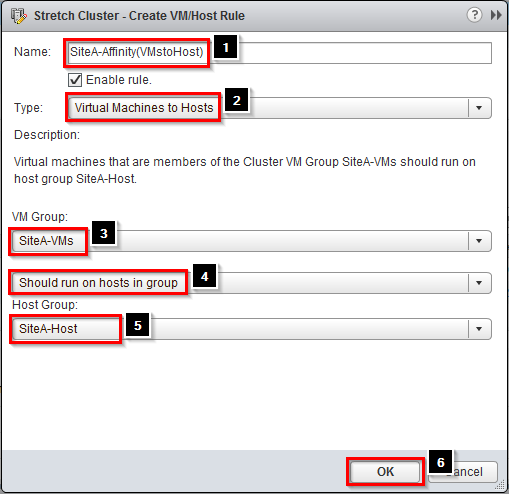 For example, if a VM residing on a host at site A has its disk migrated to a datastore at site B, it continues operating but with potentially degraded performance. 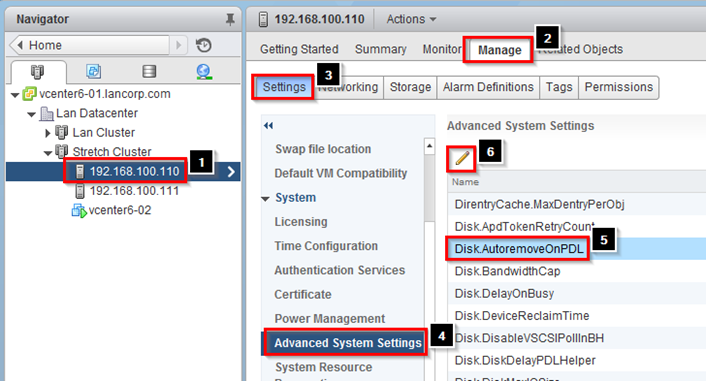 The VM’s disk reads now are subject to the increased latency associated with reading from the virtual iSCSI IP at site B. Reads are subject to intersite latency rather than being satisfied by a local target. 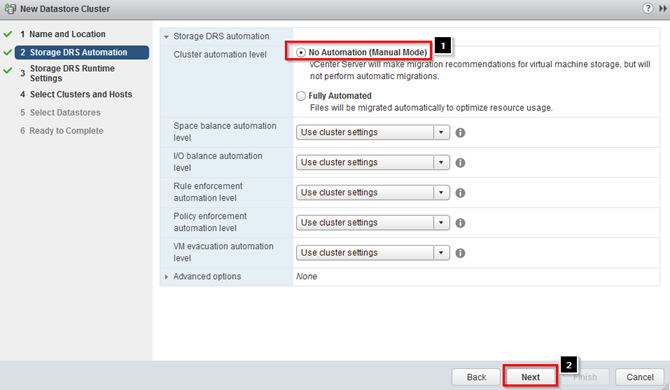 To control if and when migrations occur, VMware recommends configuring vSphere Storage DRS in manual mode. 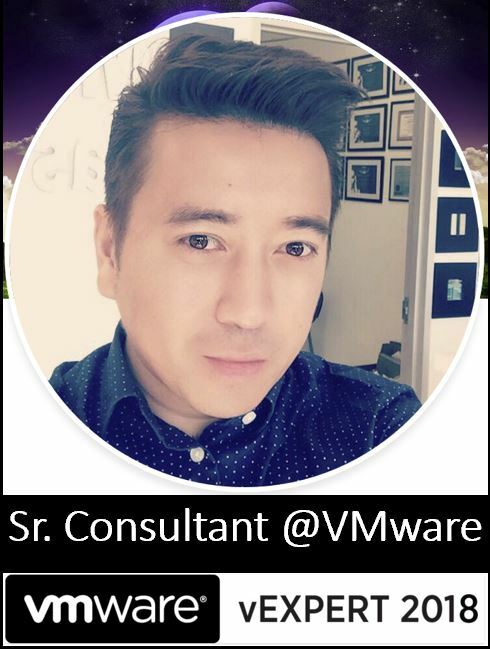 This enables human validation per recommendation as well as recommendations to be applied during off-peak hours, while gaining the operational benefit and efficiency of the initial placement functionality. 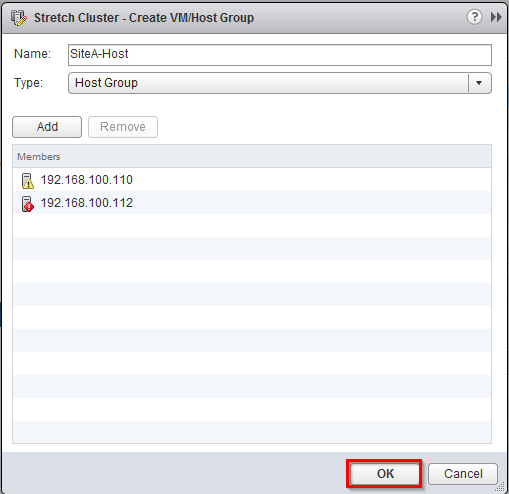 VMware recommends creating datastore clusters based on the storage configuration with respect to storage site affinity. 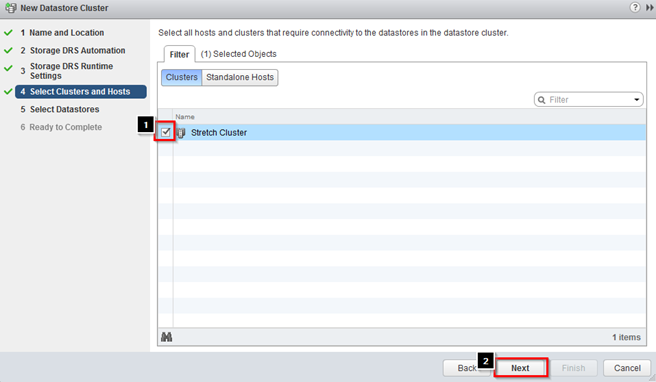 Datastores with a site affinity for site A should not be mixed in datastore clusters with datastores with a site affinity for site B. 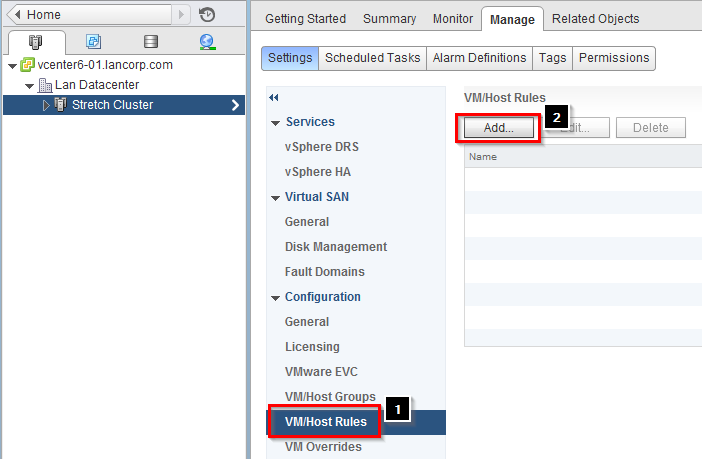 This enables operational consistency and eases the creation and ongoing management of vSphere DRS VM-to-host affinity rules. 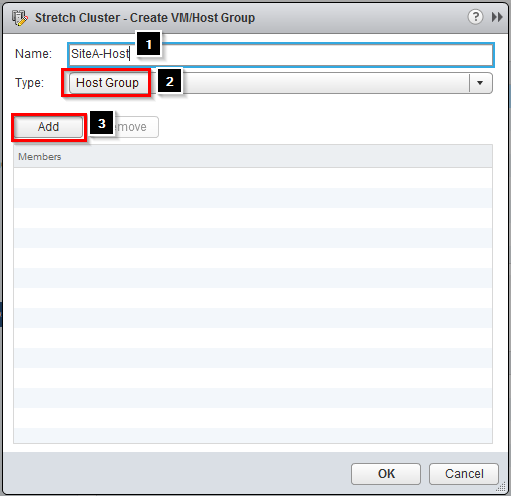 Ensure that all vSphere DRS VM-to-host affinity rules are updated accordingly when VMs are migrated via vSphere Storage vMotion between datastore clusters and when crossing defined storage site affinity boundaries. 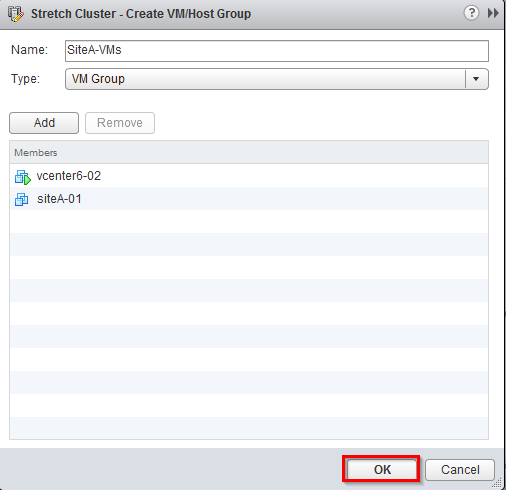 To simplify the provisioning process, VMware recommends aligning naming conventions for datastore clusters and VM-to-host affinity rules.